Our photographic archive of the project, involving a number of photographers, can be accessed from here. The archive will be expanded as the project continues, and we would like to thank all our photographers for their help and enthusiasm. This process involved taking measurements to ensure the new sundial could be correctly made and oriented. Pictures of the measurement process courtesy of Harriet James of Sunnydials. Most of these pictures show the detailed measurements needed to ensure the new sundial is accurate. New College Stamford Creative Arts department, and in particular James Lee of JLM photography. (Removal page 1 and Removal page 2); James was brave enough to go up the scaffolding and you can see the details of the conservationists’ work. Please note that all James' work is licensed under a Creative Commons Attribution-NonCommercial-NoDerivs 3.0 Unported License. Civic Society member Paul Eastwood (Removal page 3 and Removal page 4). 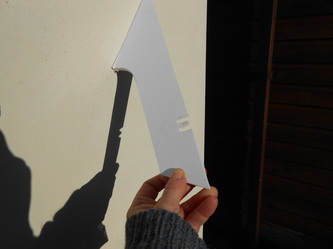 Paul took a series of photos showing the sundial descending to ground level. 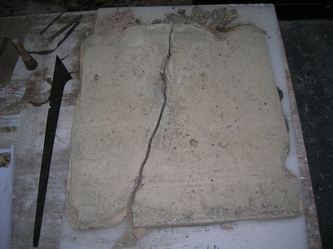 These pictures of the conservation of the old sundial were taken in the Norfolk premises of Cliveden Conservation Workshop Ltd. by a Civic Society member. 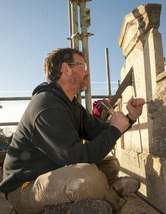 Harriet James took the photos of the carving of the new sundial. 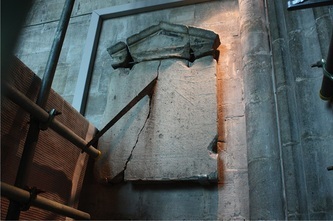 The old sundial returned to All Saints’ Church on February 7th. These photos were taken by James Lee (Return page 1) and Paul Eastwood (Return page 2 and Return page 3). Photos of the installation once again courtesy of Harriet James. Our thanks to Paul Eastwood for this picture of the sundial in place. Our thanks to Paul Eastwood and James Lee once more for their photographs of the ceremony and reception.